Flights to 3 domestic Destinations � Chandigarh, Lucknow and Kanpur. The city�s first smart parking facility and also the state�s first one became serviceable on Sunday (27 January 2019) after urban development minister Madan Kaushik inaugurated it by parking a vehicle there. Mussoorie Dehradun Development Authority (MDDA), in collaboration with Dehradun Municipal Corporation (DMC) and Bride, Ropeway, Tunnel and other Infrastructure Development Corporation of Uttarakhand Limited (BRIDCUL), has initiated app based smart parking at 27 spots on Rajpur Road under the smart city scheme. Citizens can now access the parking through an app named mPark which is available to download. 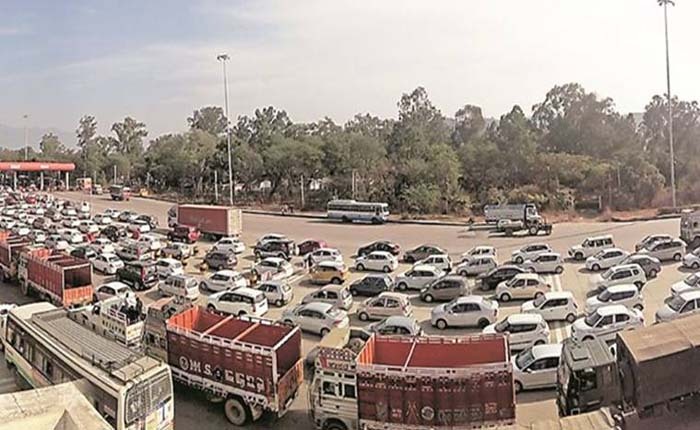 According to Ashish Srivastava, additional chief executive officer of the smart city project, the status of the parking will be updated on the app and people can be informed aobut the vacant spots in each parking. "Each spot has been marked with paint and traffic rates have been displayed on a board. At each spot, a uniformed parking operator will be present who will give tokens to people. After each entry, the status on the app will be updated," Srivastava said. The rates for the parking a two wheeler is Rs 20 upto an hour beyond which Rs 30 will be charged. For cars, people will have to pay Rs 30 for an hour and after that the charge will be Rs 50. According to officials, parking operators will be trained by the traffic police and the revenue from parking will be spent on improving the traffic situation in the city. Residents hailed the new parking facility in the city with hopes that it will help them deal with traffic jams. "People park their vehicles on busy spots like Dilaram Chowk and Clock Tower while shopping which often leads to traffic jams. Now that parking facilities have been provided, it should hopefully make the situation better," said Anand Kaushik, a resident of Canal Road. The Airports Authority of India (AAI) will soon launch new flights to 3 domestic destinations- Chandigarh, Lucknow and Kanpur from Pantnagar airport in Udham Singh Nagar district. The flights are likely to start within three months, according to Pantnagar airport director S K Singh. Two air service providers, heritage Aviation and SpiceJet, have been given the contracts on these routes. This comes just days after the Doon-Pantnagar-Pithoragarh flight services were started under the ambitious UDAN (Ude Desk Ka Aam Naagrik) scheme of the Centre. The service, however, has been riddled with glitches and is now running six days a week, as opposed to 7 days earlier. On the 3 new routes fares will be kept under Rs 2,500. Singh said, adding that the flight duration for Lucknow will be 25 minutes while it will take 30 minutes to reach Kanpur or Chandigarh. 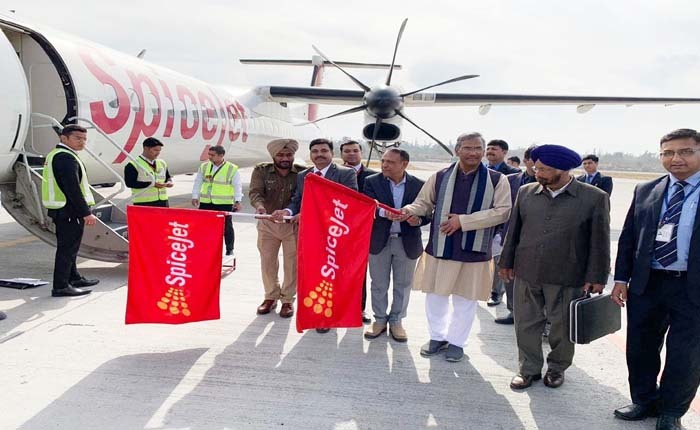 Singh told TOI, "SpiceJet has got the contract for the route between Pantnagar and Kanpur while Heritage will be operating on Pantnagar-Chandigarh and Pantnagar-Lucknow route." On the lines of the Amarnath yatra of J&K, Uttarakhand government is ready to begin the Timarsain yatra from 10 February 2019 in association with the Indian Army. The yatra would be to the Timarsain hill in Niti valley near Joshimath which witnesses the formation of an ice 'shivling' during winters. Locals of the area, for the past few decades, have been offering homage there. 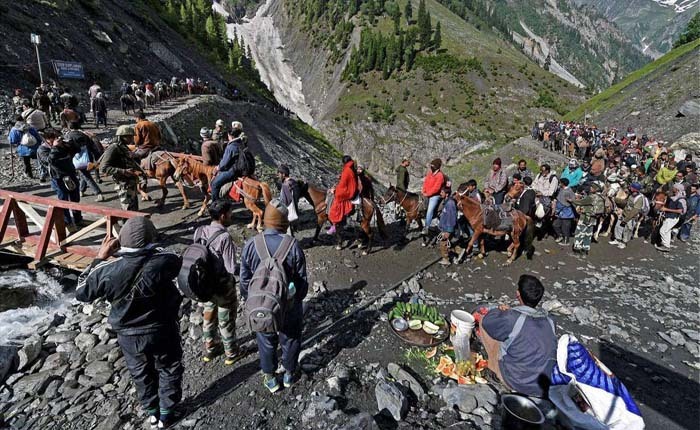 In order to promote pilgrimage tourism in the area, the state government had last year decided to start a yatra on this route on the lines of the pilgrimage to the Amarnath cave where a similar 'ice shivling' forms. Swati Bhadauria, District magistrate of Chamoli said that, "It is planned that each day around 7 am, a batch of 25 pilgrims accompanied by Army personnel and members of the State Disaster Response Force (SDRF) team would start the trek form Joshimath. The trek would take 3.5 hours. After offering prayers, pilgrims would return on the same day. Medical teams would be deployed on the route to ensure all possible assistance to pilgrims." She added that in order to participate in the yatra, pilgrims can fill out an application form which will soon be available on the NIC portal and state tourism website. 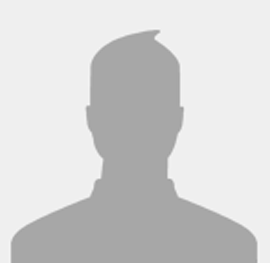 "People can also get the form directly from the district administration. The tourism department would have a single window system where the forms would be examined along with the fitness level of each pilgrim." The air service on Dehradun-Pntnagar-Pithoragarh route will now be available six days a week, as against the seven days earlier. The decision to scrap the air service on the route on Wednesdays was taken due to recurring technical glitches. This comes just a week after the flight was flagged off amid much fanfare. The flight service between Garhwal and Kumaon regions of Uttarakhand will cut short the 16 hour travel time between the state capital and Pithoragarh to just one hour. But, since its launch, the service has been marred with technical glitches, forcing a cut in its frequency. The air service, which was hampered for the past 4 days, had only resumed on Thursday. On 18 January 2019, the flight was four hours delayed and on January 20, the air service was suspended due to technical glitches in the aircraft. 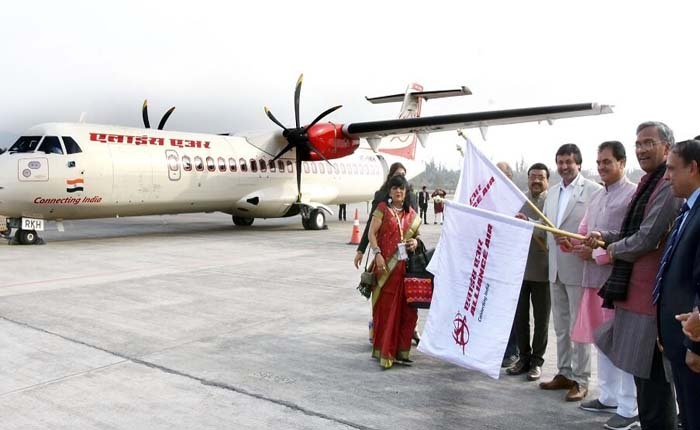 The flight connecting the state capital with the two key parts of Kumaon was envisaged under the ambitious UDAN (Ude Desh Ka Aam Naagrik) scheme of the Centre and is operated by Heritage Aviation. The government authorities said that as only one aircraft is rendered to service Heritage Aviation, the firm tasked by the government to run the air service, has been asked to call Wednesday off to sort out the technical problems, till another aircraft is put into service. 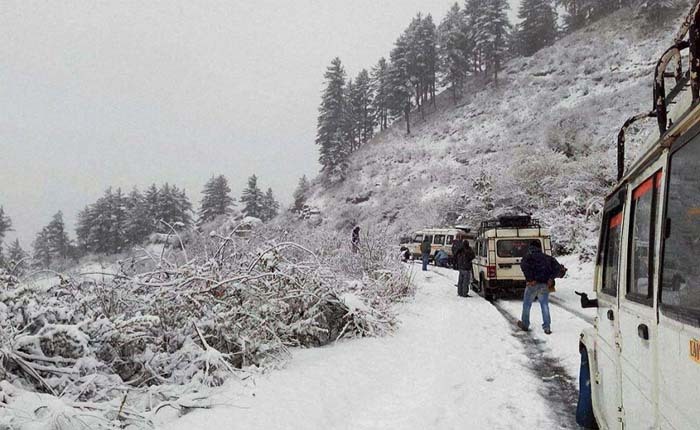 2 dozen roads in Uttarkashi, including the Gangotri and Yamunotri national highways, remained blocked for over 24 hours on Wednesday, 23 January 2019 as it is continued to snow in the state. In Chamoli as well, 1 4 roads including the Rishikesh-Badrinath national highway were cut off due to heavy rainfall. The Gangotri highway was blocked between Papadgad and Gangotri, while the Yamunotri highway was blocked near Radi Tip, Orcha bend, Ginoti, Phulchatti, Banas and Hanumanchatti. Heavy snowfall also affected transportation, electricity and drinking water supply in 6 dozen villages of upper Himalayas in Uttarkashi district. The worst-hit was Yamuna valley where more than 60 places including Barkot, Purola, Naugaun and Mori were cut off from the district headquarters due to snowfall in Radi Top. Manveer Rawat, a resident, said, "Nearly 5 dozen villages including Narayanpuri, Kharsali and Kaflon in Naugaun block, Sarbadiyar, Kamra and Sankhal regions in Purola and 42 other villages of Govind National Park in Mori block were covered in snow." 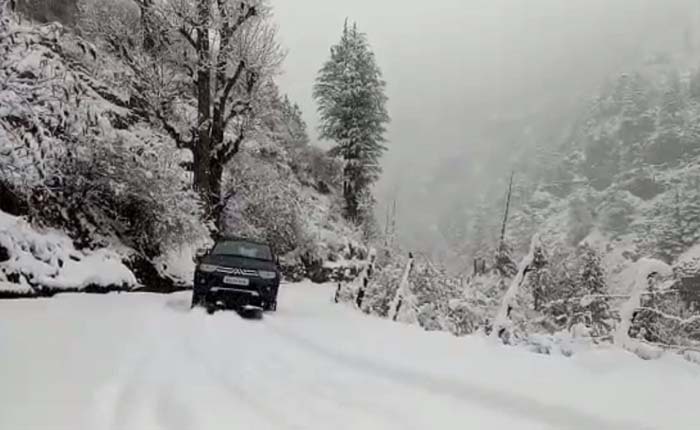 Ashish Chauhan, Uttarkashi District Magistrate said that, "We have been clearing the Uttarkashi-Lambgaun road and traffic on the stretch has snow been resorted." Efforts were on to restore connectivity in Chamoli too. Chamoli DM Swati Bhadauria said that "The administration is working to clear the highways and other motorable roads to bring daily life back on track. Villagers have been advised to stay indoors." Over 200 villages in the state plunged into darkness for several hours following heavy rainfall and snow on Wednesday, 23 January 2019. Heavy snowfall was witnessed in Almora, Pithoragarh and Rudraprayag even as the Met Centre has predicted more now in higher reaches over the weekend. Bikram Singh, Director at Met Centre said that the weather would improve on Wednesday but more snow and rain is likely on January 25 and January 26. Inclement weather is likely to compound misery of those living in the hills. On Tuesday, Chamoli, Kashipur, Pauri, Haridwar and Pithoragarh witnessed long power cuts. In Dehradun as well, power supply was disrupted in some parts after trees fell on utility poles in Purkul Village and Sahastradhara Road. In Kashipur, the power outage lasted for over 10 hours. (UPCL) managing director, BCK Mishra said that continuous rain caused delay in fixing the fault line in Kashipur.